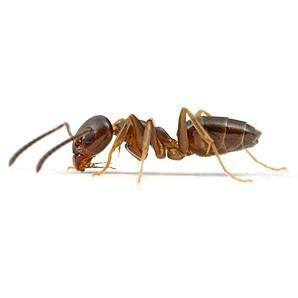 General Info: These ants can raise their abdomen over their thorax (mid-section) and head when disturbed. There are several species of Acrobat Ants, even at altitudes up to 8,000 feet. Residential Location: The workers often find a way inside homes by trailing along tree limbs and utility lines, and entering through cracks or holes around window frames, soffits, door thresholds, and other vulnerable spots. 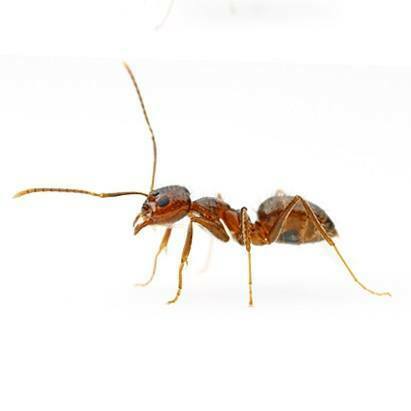 Once inside, acrobat ants typically nest in wall voids or wood that has been subjected to high moisture and fungal decay – the same conditions favored by carpenter ants. Random/Interesting Fact: Workers of many species emit a repulsive odor when alarmed, warning other workers of danger. Identification: Usually light brown-black, but sometimes multicolor. The abdomen is shaped like a heart (broadest towards midsection and sharply pointed at rear). General Info: Yes, “Little Black Ants” is really the name for these tiny ants. Thay are often mistaken for Pharoah ants, odorous house ants and acrobat ants because they are all strongly attracted to sugar-based foods. Residential Location: Frequently seen in the kitchen and dining room areas. Colonies are found around wookwork, cabinet and wall voids. They feed on grease , oil, meats, fruits, vegetables, corn meal and sweets. Random/Interesting Fact: Winged reproductibves appear from the months of June to August. Identification: Dark brown and black, has antenna and a small stinger. 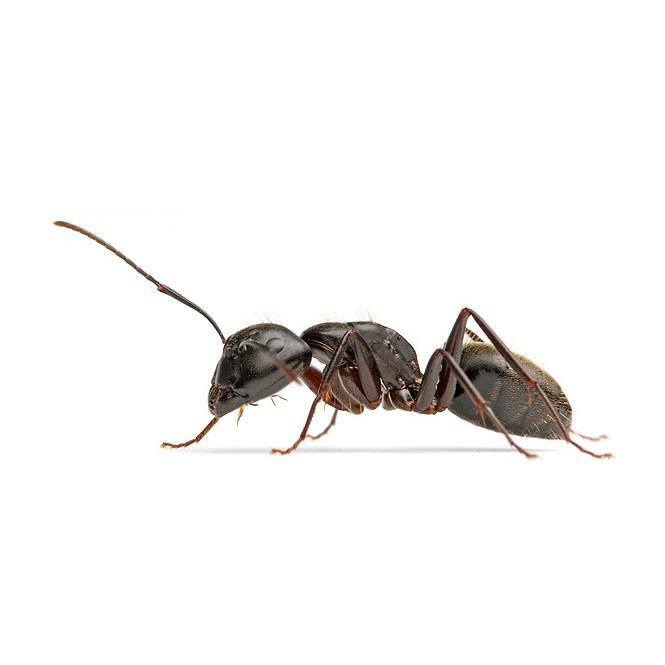 General Info: These ants get their common name from their habit of hollowing out galleries in pieces of wood for nesting purposes. This nesting habit can result in structural damage. 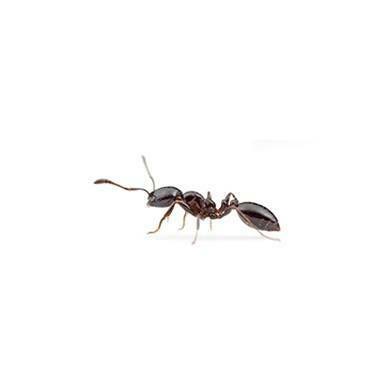 All species of carpenter ants mainly attack wood that is or has been wet and damaged by mold. 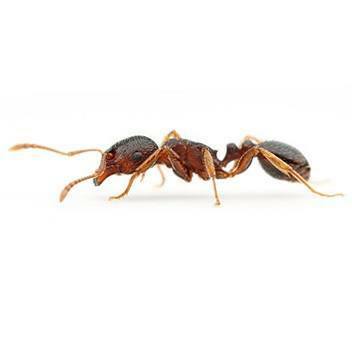 Even though these ants first invade wet, decayed wood, they may soon begin building paths through dry, undamaged wood. Residential Location: They usually come into buildings through cracks around doors, windows, or through holes for wires. They will also crawl along overhead wires, shrubs, or tree limbs that touch the building far above the ground. Carpentar ants can forage up to 300 feet. Random/Interesting Fact: Unlike termites, Carpenter Ants do not eat the wood they destroy. Their excavation results in smooth tunnels inside the wood. Identification: These are much bigger than normal ants and they have no stinger. 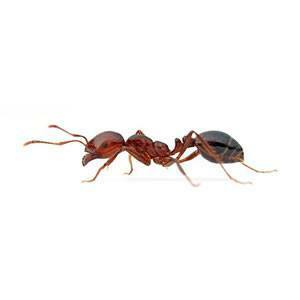 Carpenter ants can be black, brown, and red. General Info: These red ants build large mound nests that are flattened, irregular in shape, and between two and four square feet in size. They are commonly introduced into new areas through potted plants, shrubs and trees. Region Found: Southern United States. From Maryland down to Florida west through Texas all the way to Southern California. Residential Location: Fire ants build nests in the yard. Only in extremely rare instances do they come indoors. 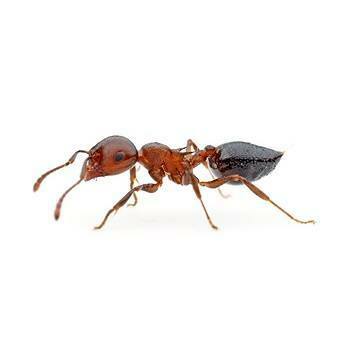 Random/Interesting Fact: Fire Ants are known to painfully and repeatedly bite and sting victims. They are an invasive species from South America that has taken over the Southern US. Identification: Medium sized red and black ant. The above-ground portion of the mounds are displaced soil and sand. General Info: Pavement ants will eat just about anything: cheese, meat, nuts, bread, seeds, fruit, honey, and other insects. Region Found: Mostly in the Eastern US and Pacific Coast. Residential Location: Most likely to be found in masonry walls, meaning brick or concrete block walls. They can also be found along pavement (surprise, surprise!) insulation, and near stones and rocks. Random/Interesting Fact: Pavement Ants are known to climb brick walls in excess of 30′ high in search of food for the colony. Identification: Like many species of small ants, Pavement Ants are difficult to identify with the naked eye. If it’s small, brown, and found near bricks, pavement, or concrete, you might have a pavement ant. 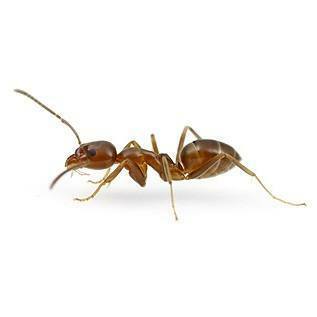 General Info: Odorous House Ants are small ants found around the home that smell bad when they are squished. The scent is described similar to a rotting coconut. Residential Location: When indoors, this species is found In wall voids near condensation, leaky fixtures, or damaged wood. Outdoors, Odorous House Ants like exposed soil and piles of wood. Random/Interesting Fact: These ants have a sweet tooth…figuratively. They prefer honeydew and other sugary foods. Random/Interesting Fact: They are native to Argentina, Brazil and Uruguay and were probably introduced to New Orleans via coffee ships from Brazil in the late 1800’s. Identification: The body varies from light to dark brown.They have no stinger, but they will bite if provoked. Workers do emit a stale greasy or musty odor when crushed.